Bluestar. 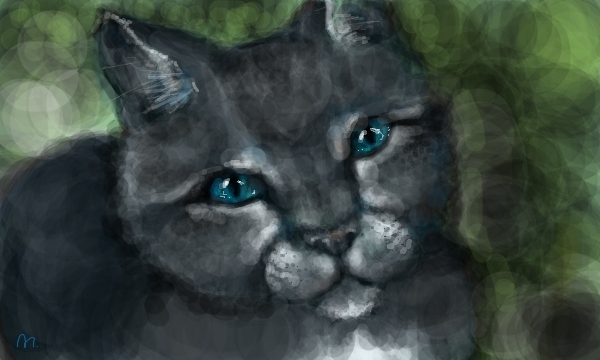 Done on Sketchfu with a mouse.Loved Bluestar! I was really upset when she had gone crazy in th 5th and 6th book.. Wallpaper and background images in the Warriors (Novel Series) club tagged: warriors cats bluestar. Done on Sketchfu with a mouse.Loved Bluestar! I was really upset when she had gone crazy in th 5th and 6th book. This Warriors (Novel Series) fan art contains तेंदुआ and पैंथर.